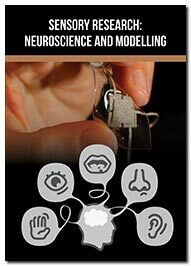 Sensory Research: Neuroscience and Modelling journal is a peer-reviewed, scientific journal covering developments in all aspects of Sensory Systems, including its functions, disorders, diagnosis, therapy, and Rehabilitation. The journal features original research articles, review articles, short reports, opinion, editorials, clinical cases, perspective and commentary on neural pathways, brain, sensory perception, vision, auditory, somatic sensation, gustatory, olfaction, vestibular, Senses and receptors, stimulus, reflex arc, and nervous system. Sensory Research: Neuroscience and Modelling aims to publishes scientific articles related to sensory and extrasensory perceptions in both living (i.e., animal and human) and artificial (Robots, Softwares) systems. The journal emphasizes integration of ideas, theories, models and techniques from multiple platforms, in analyzing the structure and functional dynamics of sensory systems. The journal aims to provide a platform for all researchers to promote, share, and gain knowledge of innovative approaches in studying the design of sensory systems and interpreting sensory patterns. All manuscripts submitted to the journal will undergo rigorous peer-review process before publishing. For publishing an article after submission it takes 45 days to complete whole process of quality assessing.